The cadets participate in strength and agility tests. Police will welcome the Duke and Duchess of Cambridge to The Royal New Zealand Police College (RNZPC) in Porirua tomorrow, thirty-three years after it was opened by the Prince of Wales. Among those attending will be serving members of the No 25 HRH Prince of Wales Cadet Wing, who participated at the opening ceremony of the College on 1 April 1981. 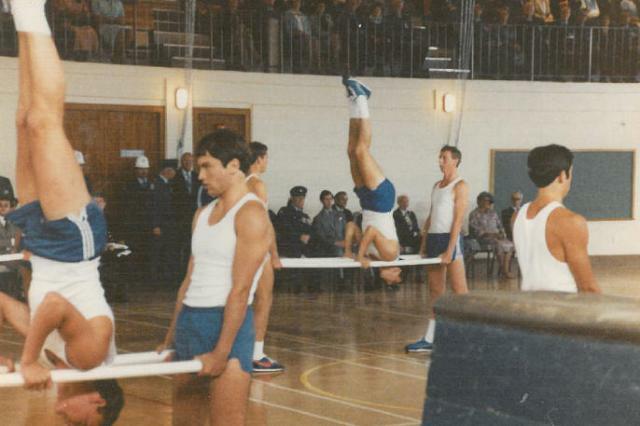 The cadets delivered a gym display involving tossing telephone poles, forming a human pyramid plus strength and agility tests while balanced on top of a beam. Tomorrow the Duke and Duchess will see a more modern style of policing, with staff and recruits showcasing their capabilities. They will also lay a wreath at the Memorial Wall to honour police officers killed by criminal acts while performing their official duties. "We have much to be proud of in New Zealand Police and it is a great honour and privilege to host the Duke and Duchess," says Commissioner Mike Bush. "The College deeply values its association with the Royal family and we look forward to showing them how modern policing works, particularly our focus on prevention and victims." 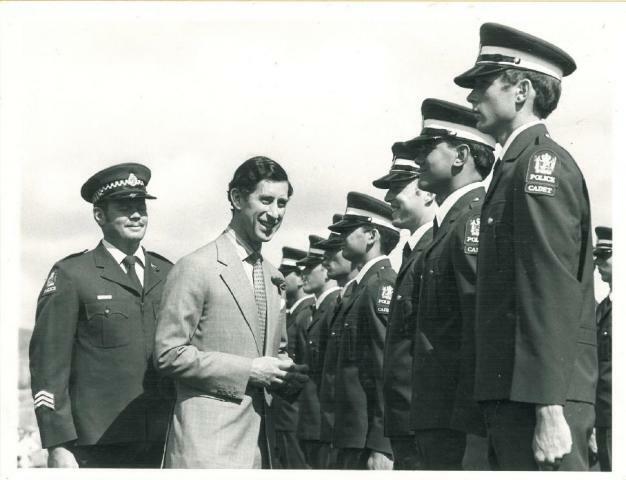 Also looking forward to the visit is Superintendent Barry Taylor, National Manager Operations, who was one of those cadets who participated in the 1981 visit by Prince Charles. "I remember that day very clearly and the pride which our cadet wing all felt. It also marked the transition from the old police training school at Trentham to the purpose-built training facility, which has become a landmark in the Porirua community since 1981,” says Superintendent Taylor. "I'm looking forward to seeing the Duke and Duchess, but I must say I'm glad we don't have to do a repeat of that gym routine we put on for the Prince of Wales." The Royal New Zealand Police College, which includes the Dog Training Centre at Trentham and is home to the New Zealand Police Museum, aims to equip staff with the skills needed to contribute to the Police vision, mission and objectives. Opened by Prince Charles in 1981, the RNZPC had the Royal title conferred on it in 1986 by Queen Elizabeth II during her visit for the Police Centenary celebrations. Photos attached are from the opening in 1981. Editors note: Parking restrictions will be in place on parts of Papakowhai Road and Tweed Road during the visit. The RNZPC and Police Museum are closed to the public until early afternoon.